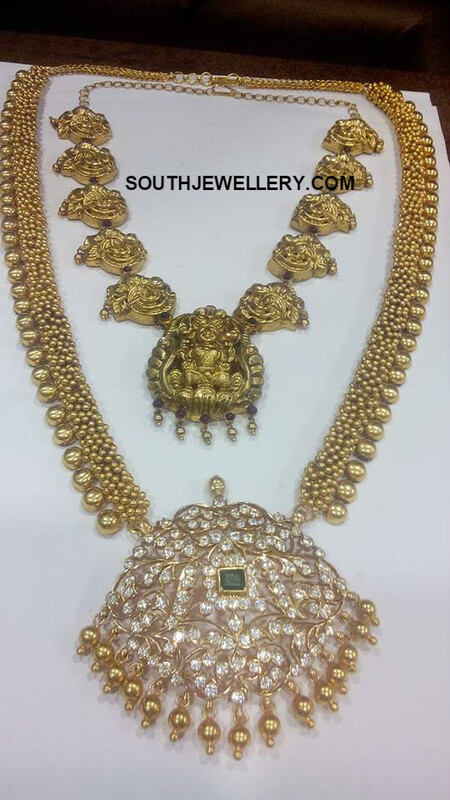 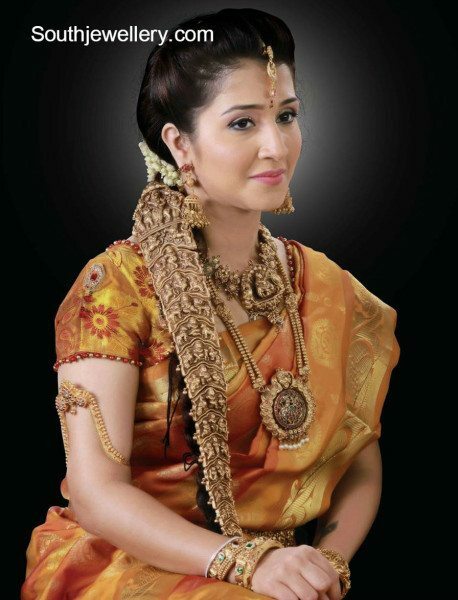 22 carat gold antique finish nakshi work Temple jewellery set by Naj jewellery. 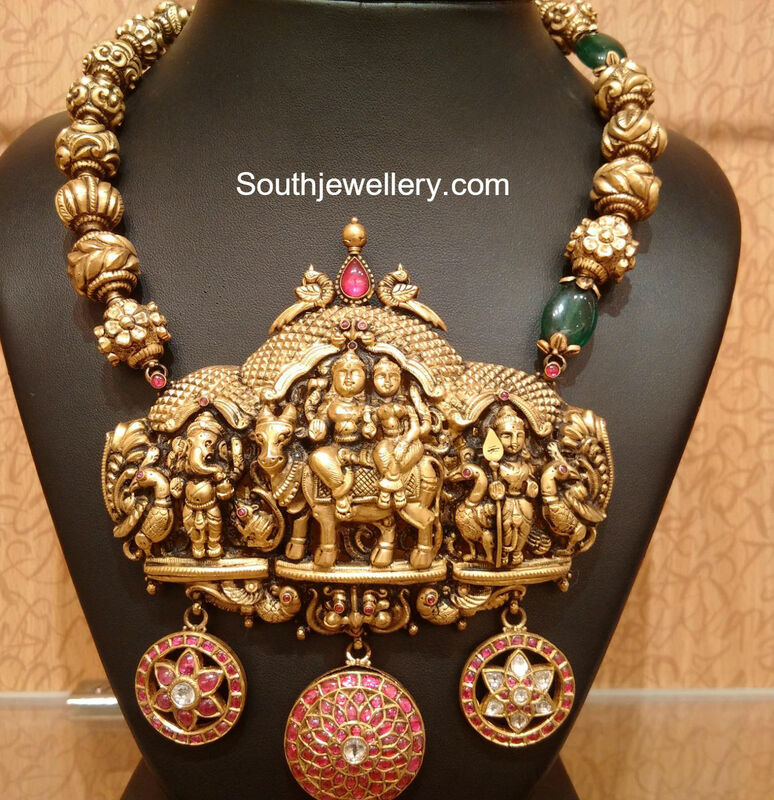 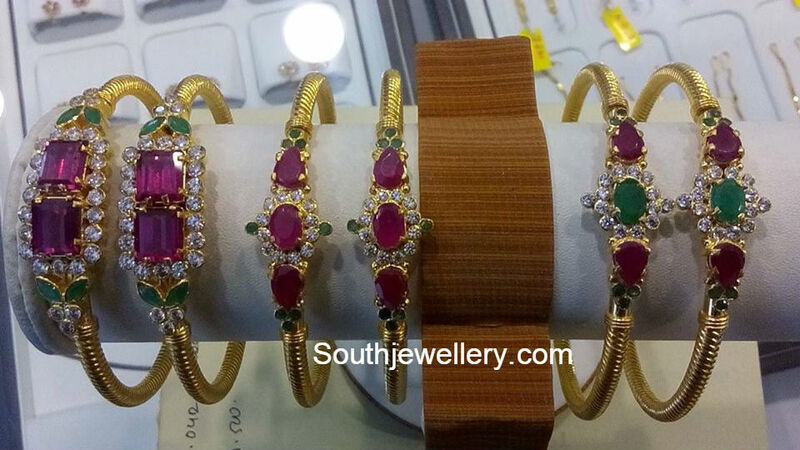 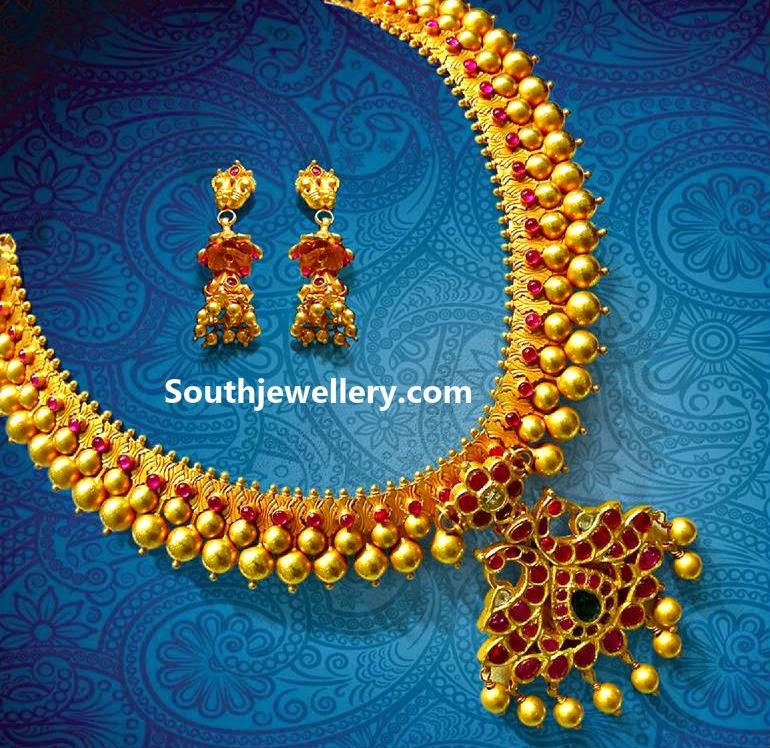 22 carat gold antique necklace studded with emeralds and rubies. 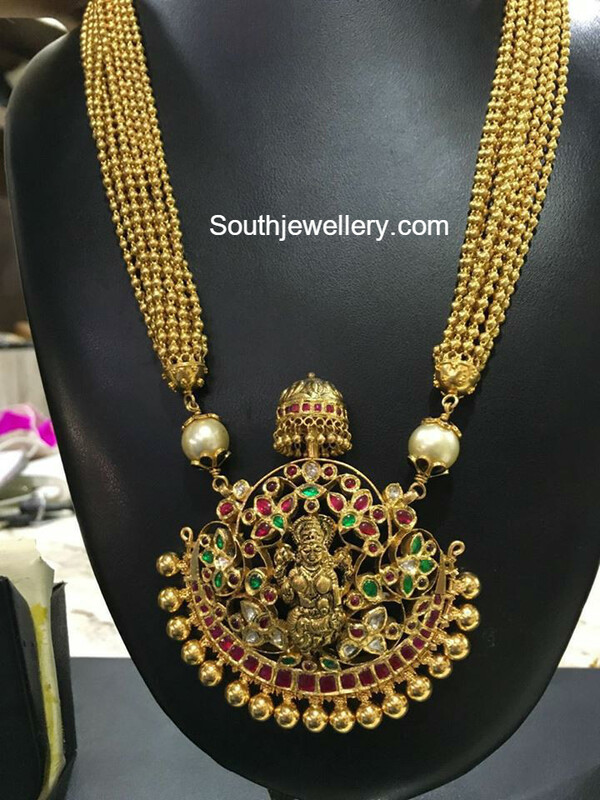 It has ruby beads and clusters of pearls hanging along its bottom.